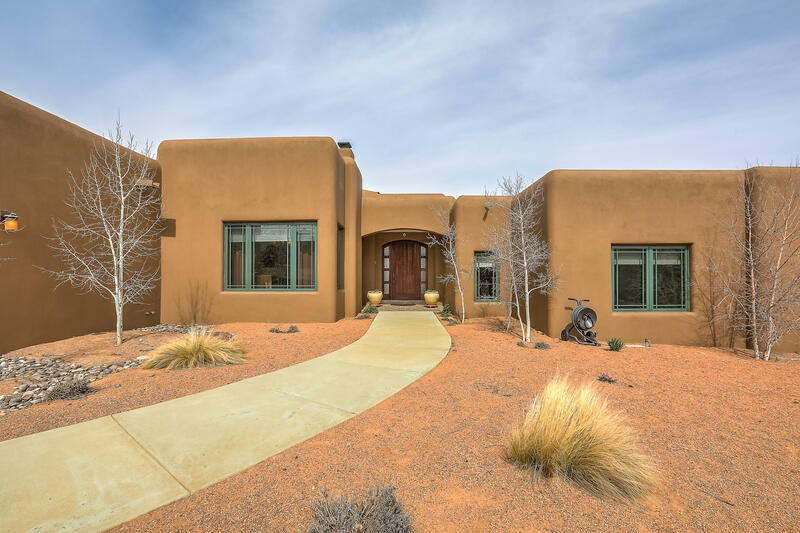 Sandia Park Homes for Sale! 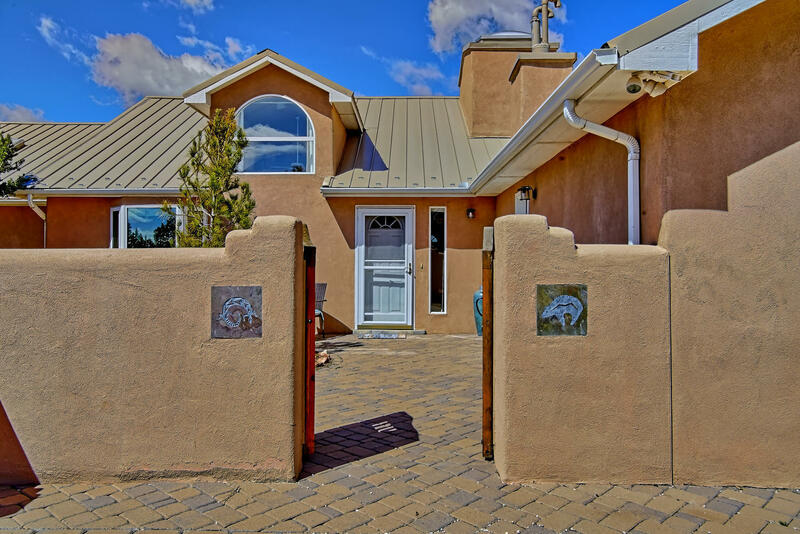 If you are looking at a Beautiful Mountain Style Living you may want to take a look at the homes in Sandia Park. I specialize in assisting Buyers and Sellers in the Sandia Park area. My website contains ALL the listings from ALL Real Estate Agents, there's no need to look anywhere else for your next home. "Imagine this view while your scrambling your eggs. This truly is a special offering. 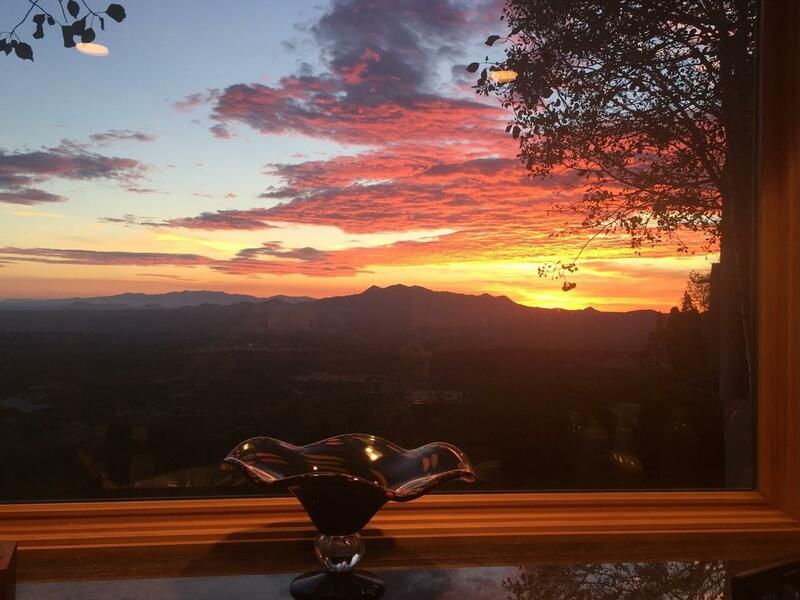 The residence boast sweeping views that extend 120 miles and is being offered with everything imaginable to begin your family dinner for the holidays. fine furnishings, beds made, fresh towels, gorgeous pottery,even an armoire on the deck brimming with new service. The car in the garage will be yours. Images and link videos to follow." 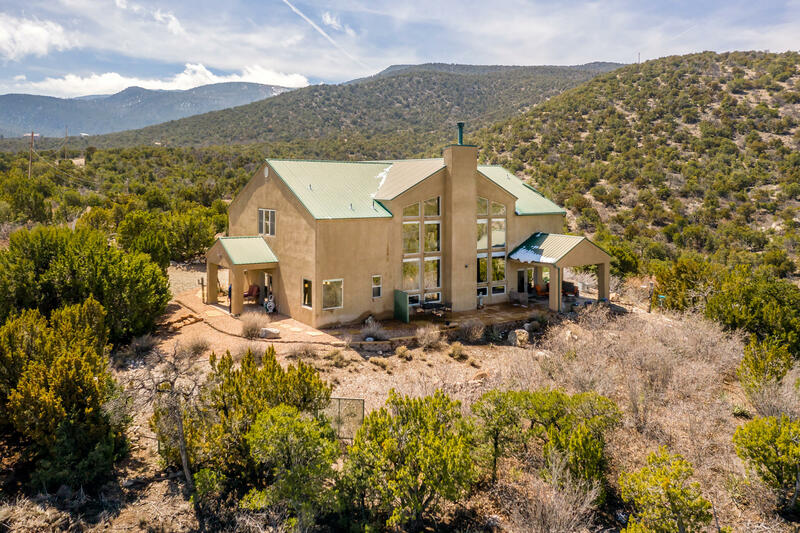 "Located on almost 30 acres atop a hill just off the Turquoise Trail, with stunning views in all directions, this private and gated 5 bedroom grand home awaits you. From the welcoming foyer you are drawn into the Great Room boasting incredible views, with high ceilings and an open chef's kitchen (with brand new refrigerator and wine cooler) great for family gatherings and entertaining. 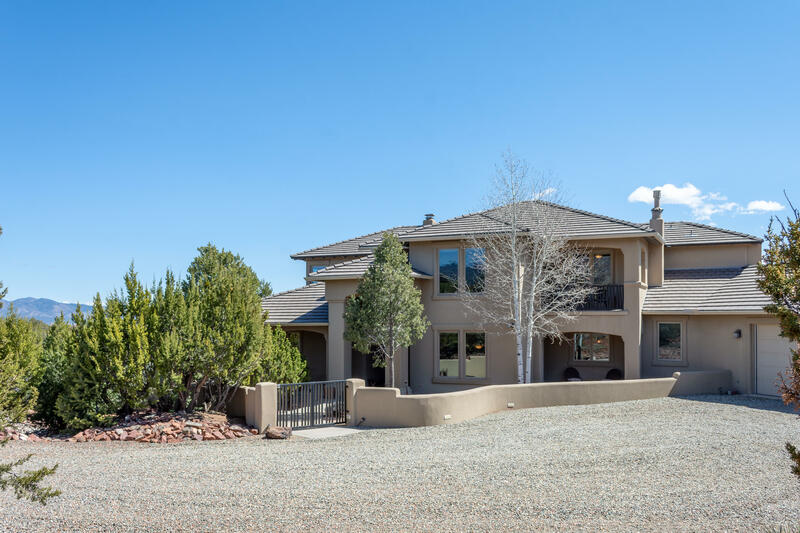 There are a total of three distinct private wings leading off of the Great Room allowing for excellent bedroom s"
"Spacious custom Richard Crombie home on 3+ acres in the desirable Sandia Park neighborhood of San Pedro Overlook. Luxury amenities from start to finish! Modern kitchen with Kitchenaid Superba appliances, 6 burner gas stove and wooden hood, double ovens, bill paying center with remote computer, Halbert cabinets, granite counter tops and large pantry. Formal dining room with gas fireplace, hanging ceiling and indirect lighting. Gracious master with ensuite includes a soaking tub with surroundin"
"Outstanding Custom Paa-ko Home on 6 Private View Acres! First Time Offered, Exceptional Quality Throughout. Built by Crombie Construction. The Minute you Enter this Beauty, You'll Feel the Richness of the Natural Wood in the Beamed, Tongue and Groove Ceilings and Gleaming Hardwood Floors. Super Floor Plan with 4 Bedrooms Plus an Office, loft room and a Studio. 2 Living Areas, Formal Dining, Breakfast Nook, Lovely Chef's Kitchen, Oversized (1200 sq.ft.) 3 Car Garage, Tiled Roof, 488 Sq. 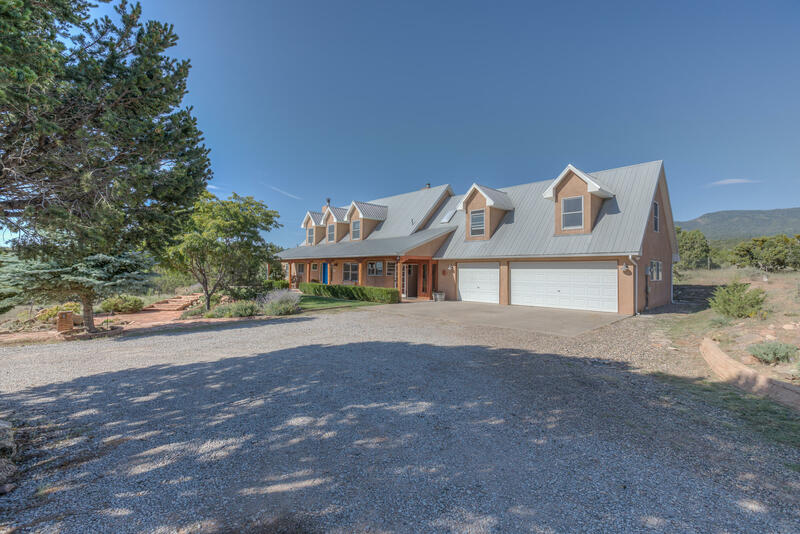 Ft. Cover"
"Simply gorgeous and tranquil home sits on 10 acres! Fantastic chef's kitchen; gorgeous granite, beautiful eucalyptus custom cabinets! Subzero, Bosch, and Wolf appliances, beamed ceilings! Lots of natural light! Every room with a different wood species add to the attention to detail, and super neat features this great home has to offer! Radiant heat with 9 zones, and solar panels! Custom nichos and built in bookcase perfect for showcasing your art pieces! 2nd floor bonus! Perfect for game room!" "Located on the 18th hole of the world renowned Paa-Ko Ridge Golf Club, this home was the Parade of Homes 2006 Featured Builder home. Exterior upgrades include Fire Pit with seating and outdoor Grill and work space." "Prepare to be WOWED with this one of a kind split level Paa Ko Ridge custom home. 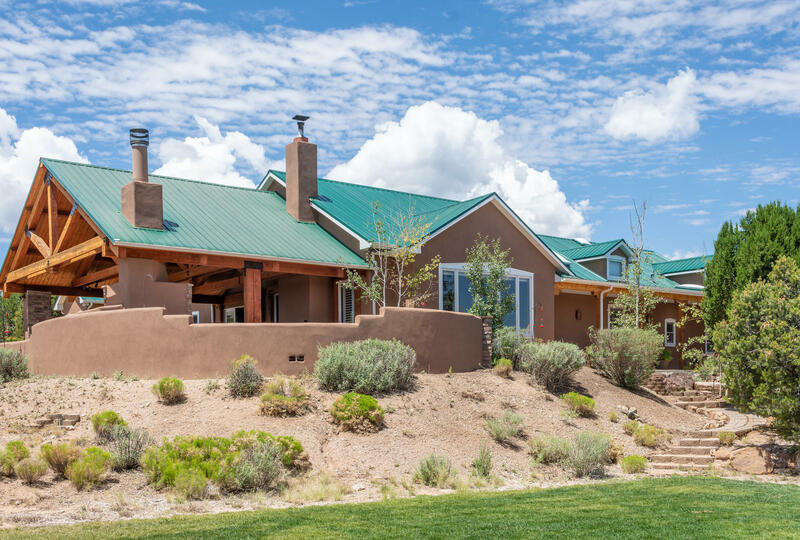 Strategically situated to showcase panoramic views of the Sandia Mountain Range and the infamous Paa Ko Ridge Golf Course, this home will truly leave both you and your guests in wonderment. The commodious light-filled foyer invites you in and tempts one to look through the double glass doors to the outdoor oasis features an in-ground SOLAR heated salt-water pool (solar or gas), gazebo, and outdoor bar/grill area. 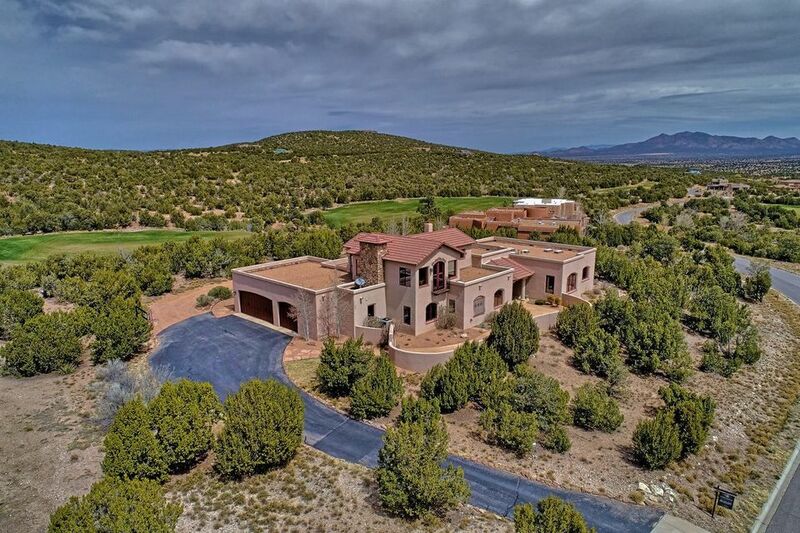 P"
"Remarkable custom home on the 20th Hole of award winning Paako Golf course offering views and privacy! Gorgeous Tuscan home boasts Old World charm with luxurious amenities and detailed attention to quality throughout! Custom carved concrete mantle FP in Spacious great room with beam ceilings/built in entertainment area behind hand carved custom doors! GR flows into the formal dining room with dramatic chandelier! Ideal for entertaining! Absolutely exquisite chef's gourmet kitchen features custom"
"Open Sat 4/13, 1-4pm. The Art of Living Well!! Fabulous San Pedro Creek Estate knows how to make an entrance. 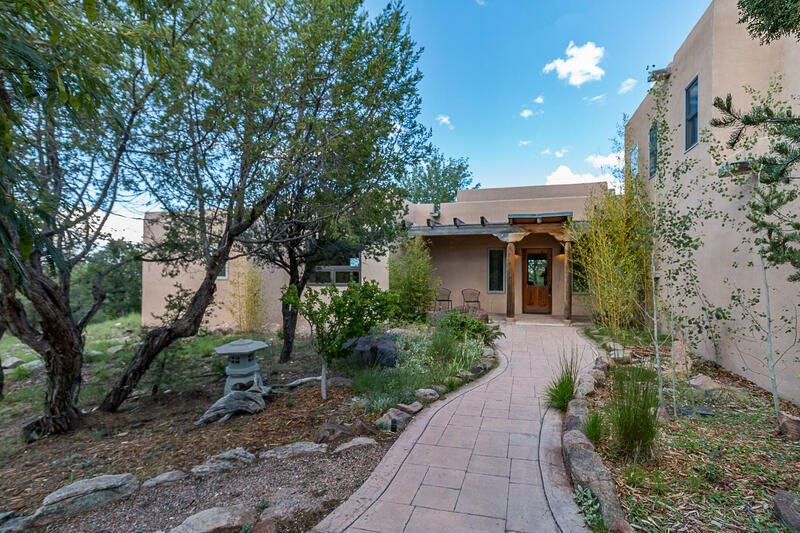 Spectacular landscaped walkway leads to this Impressive Lodge-Style Home with plenty of living areas for multi-generational buyers. 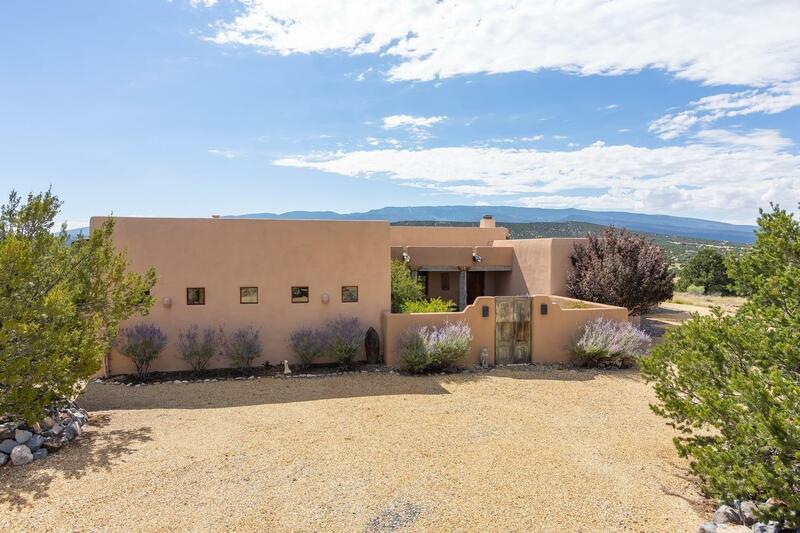 Huge Vaulted, Beamed Living Room w/Picture Windows framing the Mountain View, Gorgeous Rock Fireplace, Cook's Delight Kitchen w/cozy wood stove, which opens to the dining room & Spectacular Covered Outdoor Living area with Built-in Grill and Cabinetry. 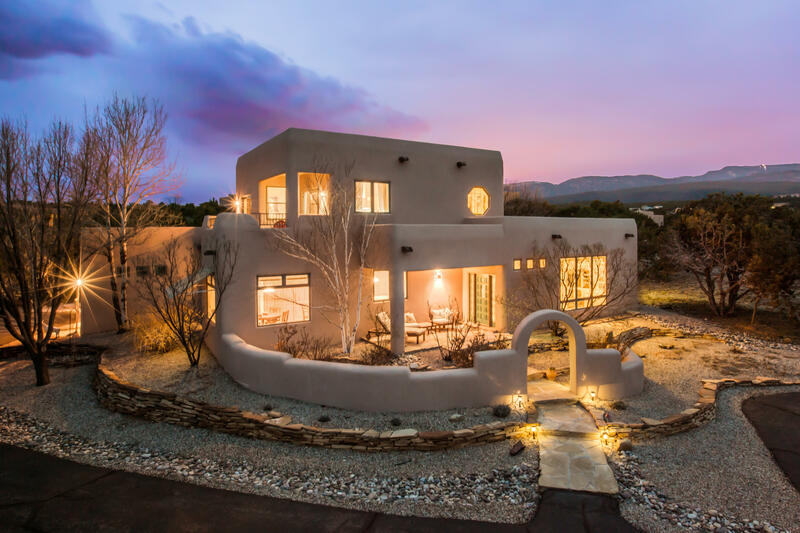 4 bdr"
"Sweeping views of the Sandias from every angle and every room! This custom home offers many builder upgrades. Open floor plan with gourmet kitchen offering a Viking Professional appliance package with four ovens, granite counters, and bar area. All bedrooms have private bathrooms, plus half bath for your guests. Instant hot water throughout entire home. Home built with AAC Block, (green, fireproof, insect and mold resistant, high R value and soundproof. Enjoy some time off in the oversized fami"
"Open Sat & Sun 4/27 & 4/28, 1-4pm. Spectacular Golf Course Views from this Captivating 5 Year old Contemporary Home! Lots of Well-Designed Living Space with 4 Bedrooms, Huge Living/Dining Area, Tons of Storage, A Dream Kitchen With Bamboo Cabinets, Concrete Floors Throughout, Refrigerated Air, Oversized 3 Car Garage (35'X25'',) Gallery Area, Mud Room, Large Open Patio Facing golf course's Hole #1. Located in Private Gated Area in Fabulous Paa-ko with Natural Gas, Community Water and Community "
"Stunning mountain home on 60 beautiful acres. The land consists of 9 separate parcels and borders the National Forest & BLM open space. Some of the home features include: A large country kitchen with stained concrete counters, beechwood floors throughout the lower level, Pella windows, dramatic views from almost every room in the house. 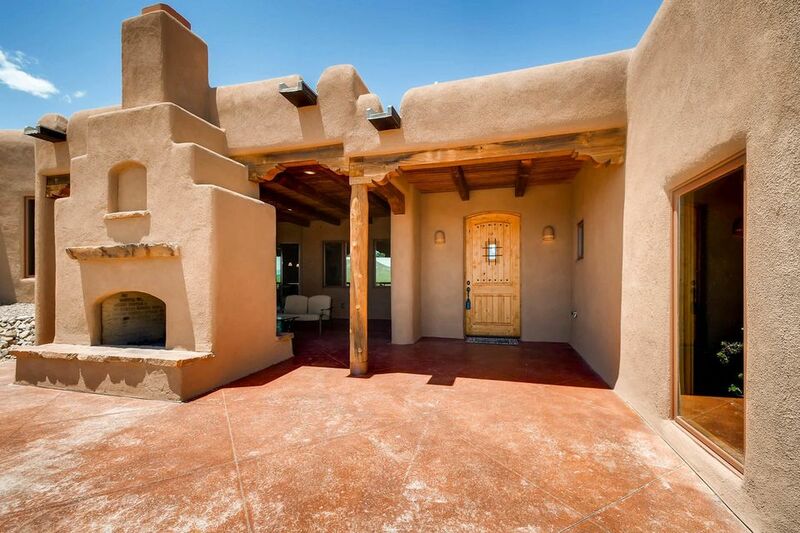 The master suite offers stained concrete floors, gas fireplace, and patio. Other features: Cathedral ceilings with large beams, custom built bookshelves and en"
"INCREDIBLE HOME OVERLOOKING the 27th green of PAA-KO GOLF COURSE-Rated in the top 100 of all Golf Courses!!! 2014 PARADE OF HOMES AWARD WINNER - PREMIER, GRAND GREEN, BEST KITCHEN AND BEST BATH. 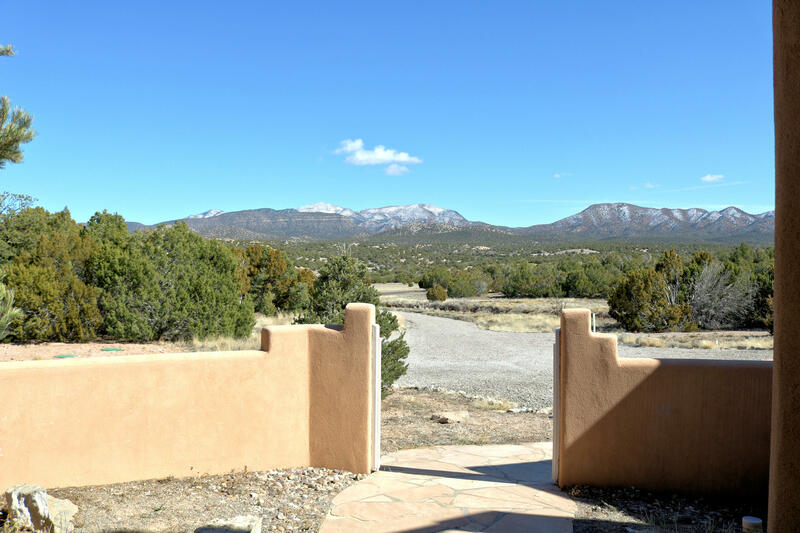 Beautifully situated, this Golf course lot has incredible views of the course and the Sandia Mountains. Could be straight out of Architectural Digest with truly upscale finishes and construction details everywhere throughout the home. 12'' thick walls, triple-pane Pella French doors and windows with inte"
"Tucked away with end-of-the-road privacy and serenity, this warm, pueblo-style home offers a sun-filled, open floor plan and is surrounded by private outdoor living spaces, colorful plantings, flowering shrubs and a starburst of flowers. So many amenities! Mountain views, clear, sparkling night skies, plenty of space for your pets/animals. A chef's delight kitchen w/granite counters and cherry cabinets. Beamed ceilings. Spacious formal dining plus breakfast nook. 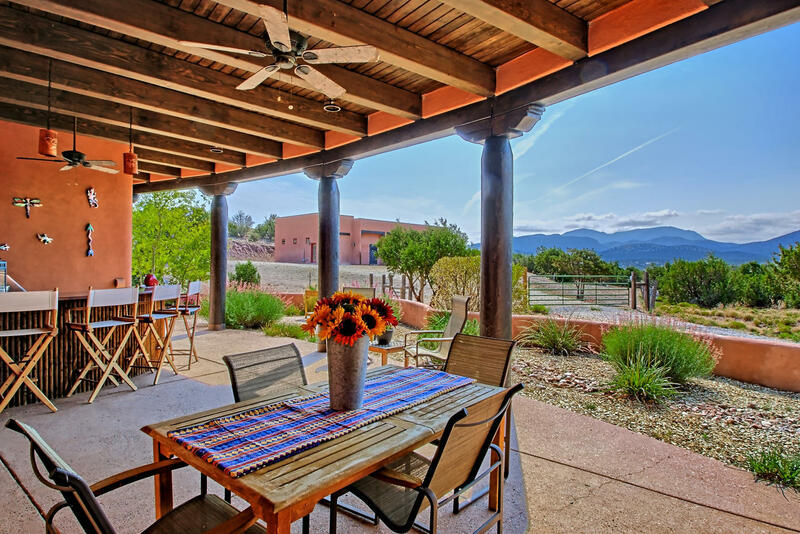 Great Room living highlighted by"
"Unbelievable setting on 10 acres with the stunning Sandia Mountain views. Clear views of the Sandia ski runs and golden aspen groves. Enjoy amazing sunsets while you bask on one of the three outdoor living areas. The home is luxurious in it's own right with soaring ceilings, huge exposed beams, plastered walls and gorgeous tile floors. Unique owner's suite with dual baths and large closet. You'll love cooking in this kitchen with large island and ample cabinets. 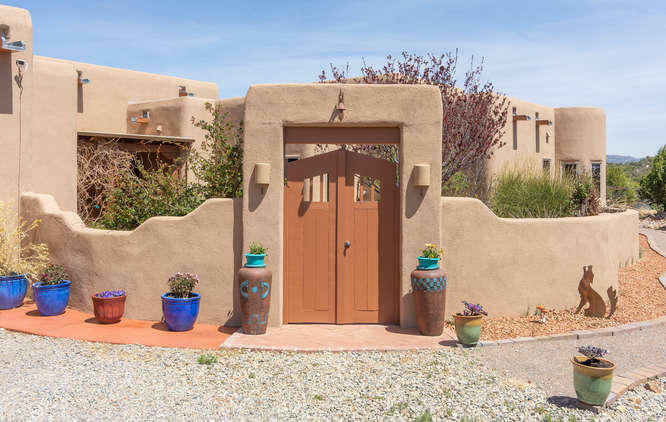 3rd garage bay converted to stu"
"Southwest style gem on 10 beautiful, tree-filled acres with arroyo. Open floorplan with circular dining area. Granite and butcher-block countertops in kitchen with high-end appliances. 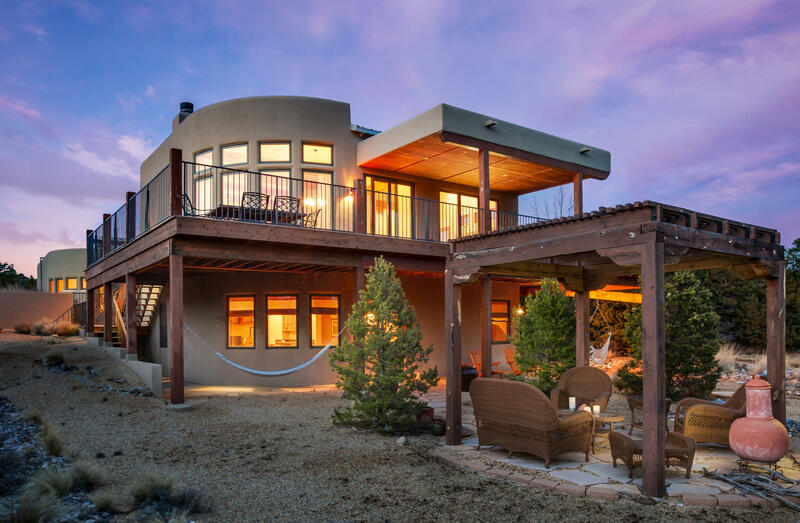 Master suite on ground floor has views of the Sandia ski run, and access to the back portal with hot tub. Also a fabulous, custom-designed closet. Another guest bed and bath downstairs; third guest bed/bath and study upstairs. Tile floors throughout with radiant in-floor heating system and also refrigerated a/c an"
"GREAT NEW PRICE! 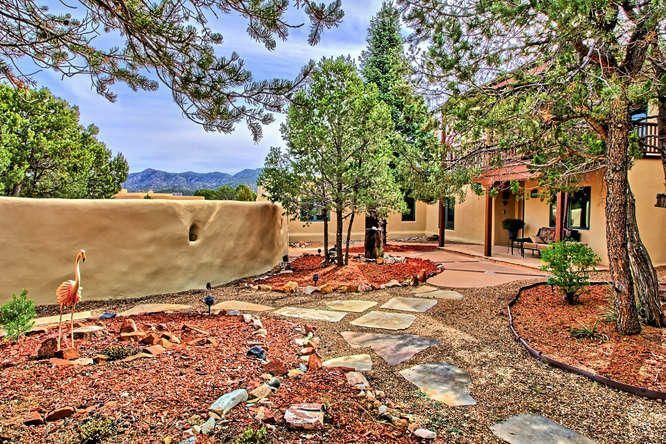 Looking for your own 5-acre slice of heaven at 7000 ft in the East Mountains? 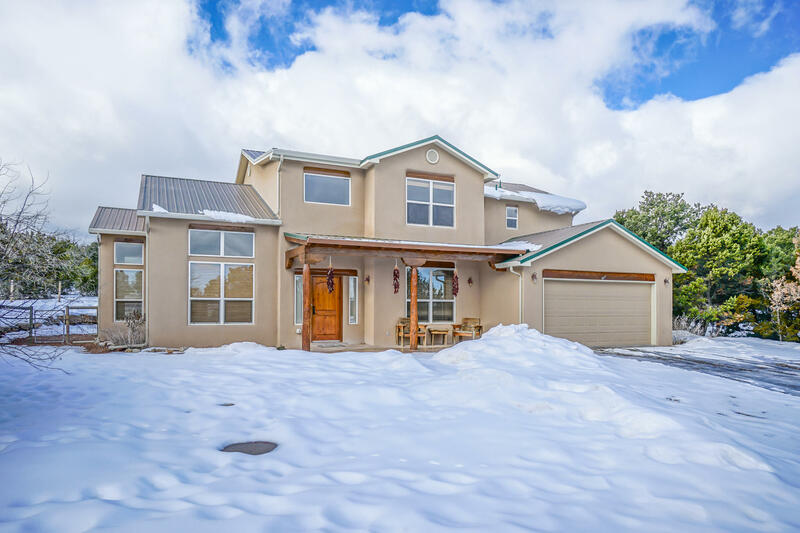 Come see this stunning 12 yr old, custom Territorial style one story home with wide open views, abundant light, chef's kitchen with Thermador appliances and handmade cabinetry & living room with high, coffered ceiling and clerestory windows. Formal dining room, foyer and Brazilian cherry wood floors give a gracious feel. Three large bedrooms including owner suite with fireplace, jet tub and steam showe"
"You'll glory in the panoramic mountain vistas, magnificent sunsets, and sparkling night night skies in this custom-built home nestled in the pines on 10 acres in San Pedro Creek Estates, an enclave of fine homes along The Turquoise Trail. Main level features a sun-filled, great room floor plan with soaring, beamed ceilings, huge windows, chef's delight kitchen, a choice of two dining areas, the owners' suite, and access to the wrap-around 1100+ sf view deck. Two cozy bedrooms are located on the "
"PRIVACY & EXCELLENT ENTERTAINING are but 2 of the many lovely features of this beautifully maintained PAA-KO residence. Newly updated bathrooms bring a classic feeling to a wonderfully comfortable, stylish & flexible home. 2 spacious guest bedrooms, an office and a large Master Suite with an adjacent loft area and private balcony, designed for separation from guests and other activities. Outdoor living includes 4 patios, kiva fp, outdoor kitchen area, hot tub and 2.3 acres of privacy and beauty." "Location! 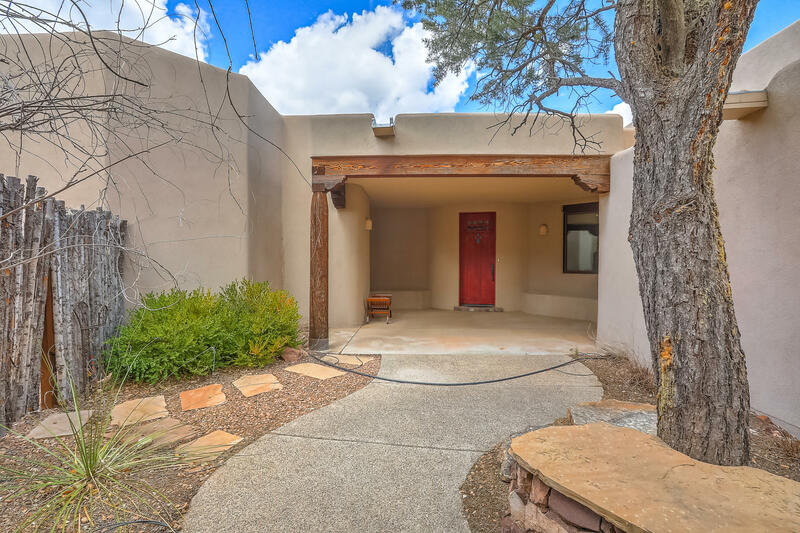 Located in the most beautiful area of Sandia Park, you are only 7 min from I40 and 1 min from San Antonito Elementary school and East Mtn High. Surrounded by mature landscaping - pines, perennial flowers, and more! Originally a bed and breakfast so every bedroom has it's own bathroom. The master bedroom is on the main floor and has its own private living room. A separate suite above the garage with it's own entrance - perfect for guests, in-laws, or even an airbnb! Enjoy a cup of coffe"
"San Pedro Creek Estates. 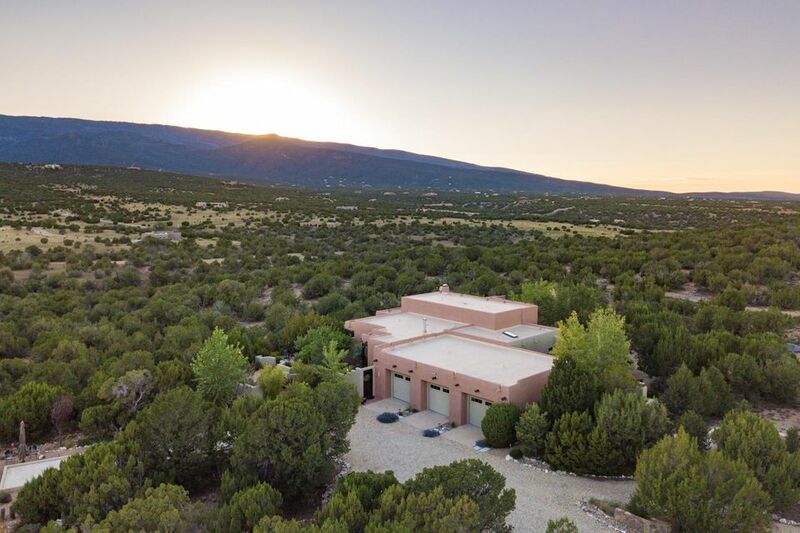 13 acres of Room to roam, yet close to the village of Sandia Park with great restaurants & shopping. 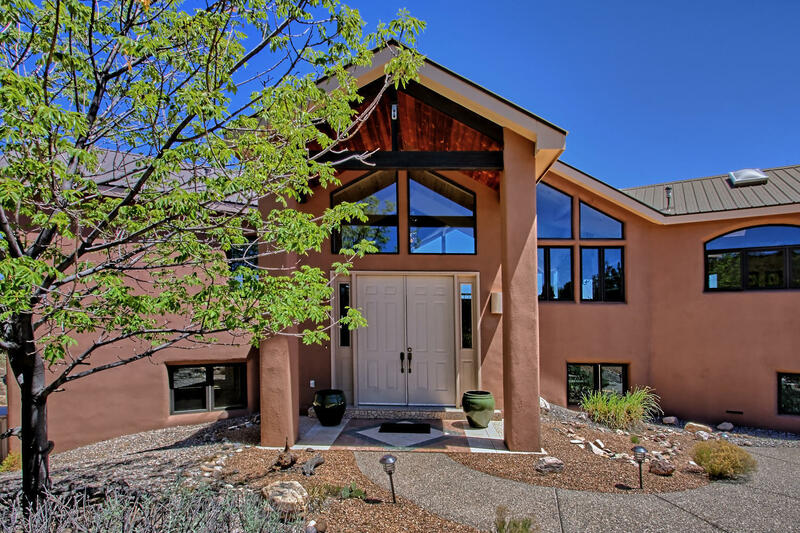 Just down the hill from Sandia Peak Ski Area & around the corner from Paako Golf course! San Pedro has hiking trails & open space & allows horses! Amazing Views! Home looks like new construction inside! New architecture carpet & faux wood floors. New kitchen cabinets & appliances. Fresh paint throughout. Master has jetted tub & plumbed for steam shower. New Roof!" "Welcome home to Paa-Ko Community. Enjoy the breathtaking views from every window on this verdant 1.09 acre property. 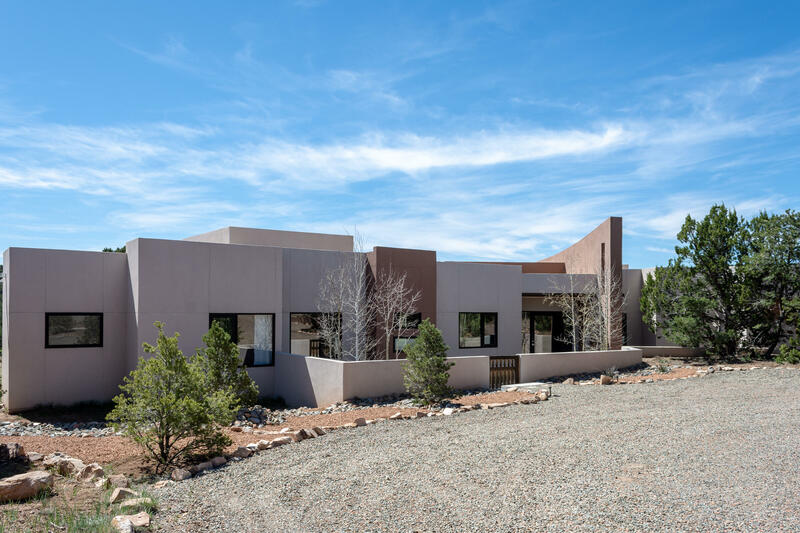 Custom NM style retreat with soaring ceilings, multiple living areas and stone fireplace for cozy nights. All the details are here: red oak floors, radiant heat, newer windows and solar system. Open kitchen with gas range, breakfast nook and plenty of storage. Downstairs den is perfect for office or guest room! Upstairs master suite with private view deck, walk-in-closet, and a sp"
"Wonderful opportunity to own an immaculately cared for custom built home in the highly sought after Paa Ko subdivision. 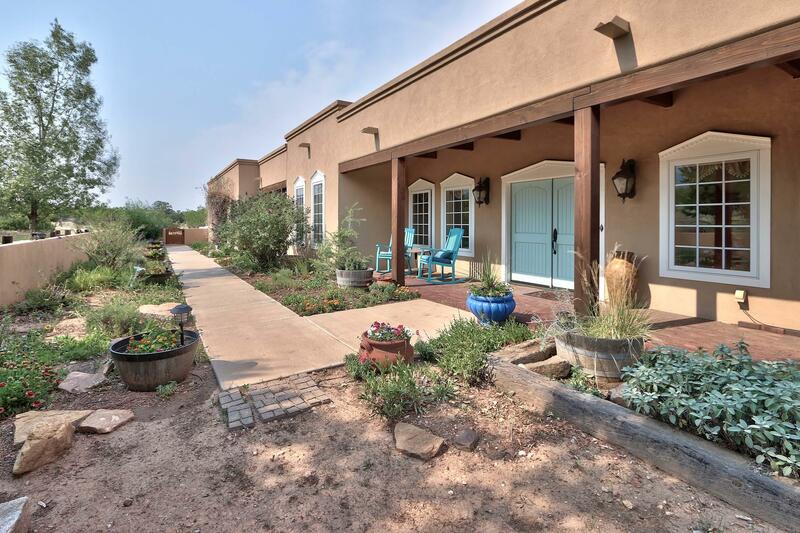 A paved driveway leads you to this two-story property, which is privately situated on 1.2 acres. 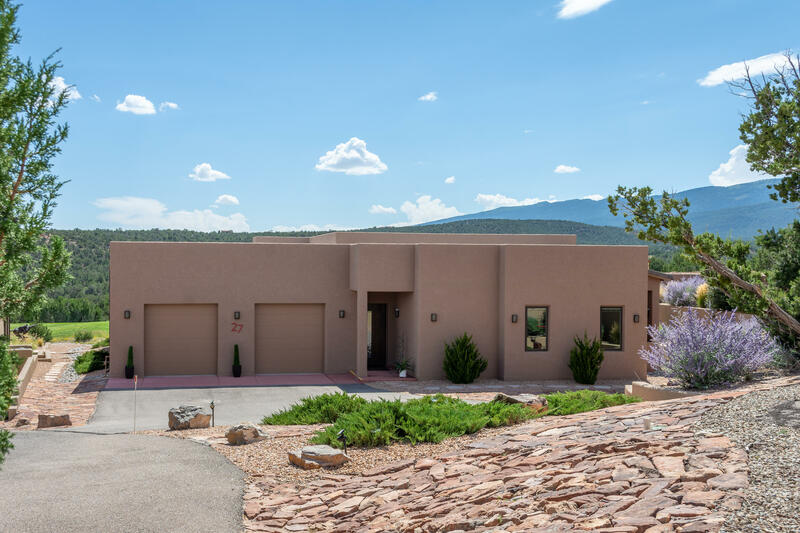 This natural light filled home boasts amazing and endless views of the Ortiz and Sangre de Cristo mountain ranges, as well as offers an open and functional floor plan. Inviting foyer leads you into the spacious living room w/ raised ceilings and features built-in bookcases and enter"
"Experience glorious sunrises and brilliant sunsets at this gorgeous Northern New Mexico style home perched high on a 5-acre lot showcasing majestic Sandia Mountain views*Charming courtyard entry *spacious, open, sun-filled great room floor plan* cathedral ceilings* quiet, peaceful end-of-the-road privacy. *Separate owners' retreat enjoys kiva fireplace, spacious bath, plenty of storage*Chef-s -delight kitchen featuring an abundance of cabinetry, granite counters and newer appliances* Large sec"